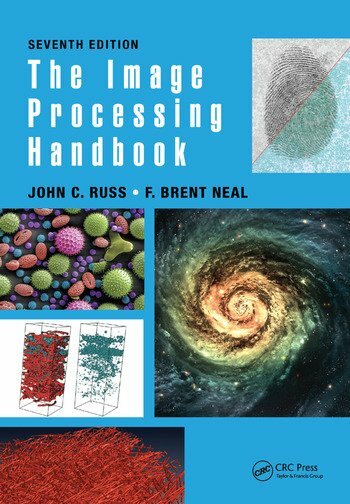 Consistently rated as the best overall introduction to computer-based image processing, The Image Processing Handbook covers two-dimensional (2D) and three-dimensional (3D) imaging techniques, image printing and storage methods, image processing algorithms, image and feature measurement, quantitative image measurement analysis, and more. The Image Processing Handbook, Seventh Edition delivers an accessible and up-to-date treatment of image processing, offering broad coverage and comparison of algorithms, approaches, and outcomes. John C. Russ has used image processing and analysis as a principal tool for understanding and characterizing the structure and function of materials throughout his more than 50-year career as a scientist and educator. Much of Russ' research work has been concerned with the microstructure and surface topography of metals and ceramics. He has received funding for his research from government agencies and from industry. Teaching the principles and methods involved to several thousand students—in addition to consulting for many industrial clients—has further broadened Dr. Russ’ experience and the scope of applications for image processing and analysis. He continues to write and consult for a variety of companies (and to provide expert testimony in criminal and civil cases). He also still teaches image processing and analysis workshops worldwide and reviews publications and funding proposals. F. Brent Neal is a scientist and industrial researcher with Milliken Research Corporation, where he currently leads the central materials characterization and analytical chemistry facility. In this role, he leads efforts in technology and product development through deep understanding of materials performance. He has three patents issued or pending based on his work in polymer-matrix composites. Prior to his tenure at Milliken Research Corporation, he consulted and developed bespoke software for quantitative image analysis. He received his Ph.D in solid-state physics from Louisiana State University in 2002. Over the course of his career, he has measured and analyzed images from many different fields and his experience in materials characterization and measurement has been applied everywhere from the lab bench to manufacturing plants. "With a new co-author (the same Brent Neal who has collaborated with him before in writing the excellent book Measuring Shape), John Russ has again produced a winner—a textbook and reference book that belongs on the shelf, and perhaps on the desk, of anyone involved in digital imaging. Even if you have a copy of one of the previous editions, this is a highly worthwhile addition."